Sentimental Circus: Welcome to Sentimental Circus! Sentimental Circus is a series of characters created by San-X, Japan. The cute main character, Shappo seems to be a rabbit (seems to be a gothic one too), is the leader of Sentimental circus team. Yeah, I was so excited to see this! 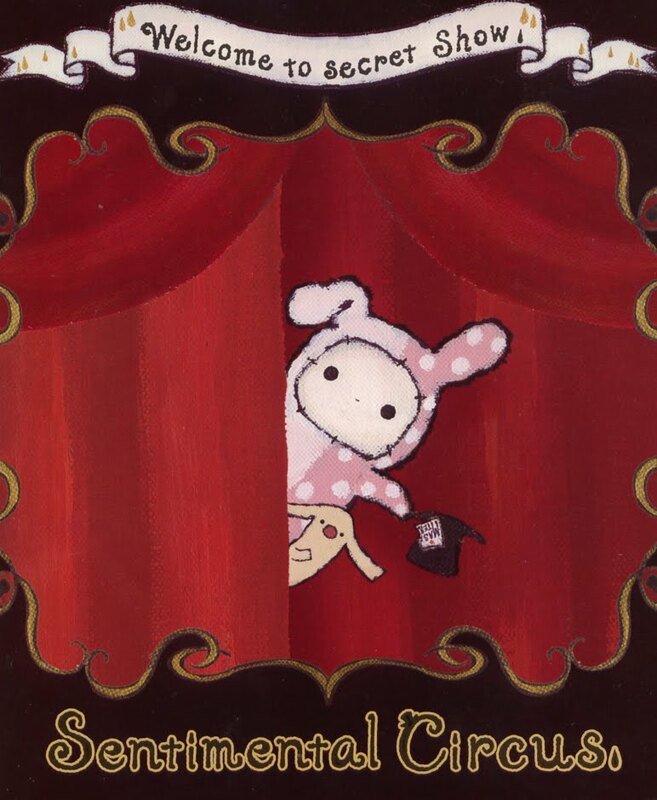 I wish that there was more information about Sentimental Circus... or at least, wallpaper on the official site. The style is creepy and cute and honestly, all the characters are enchanting. Toto might be the most puzzling to me... and very cute. I found this in a store in Miyoshi today, I LOVE it. I almost bought the big plushie of the main character, but it was almost 3000 yen. I need more pictures! I bought so much stuff of SC in a shop here in Berlin and i just love it!! I just discovered this brand in Kiddy Land (in Harajuku, Tokyo) and was FLOORED BY HOW CUTE IT IS!! I immediately purchased an iPhone case. AHHH. I adore Shappo! <3 all your designs are amazing! ooh ITS SO DAMN CUTE!! is ther a cartoon for SC? I want to know every detail about shappo.Anything!Please!! !